Fulfill your DMV requirement and keep your license after a failure to yield citation. Taking a Failure to Yield Right-of-Way course online doesn’t have to be expensive. Put your mind at ease and fulfill your Wisconsin DMV requirement without the hassle and high cost. Our course is only $29.97 — cheaper than any other competitor price! 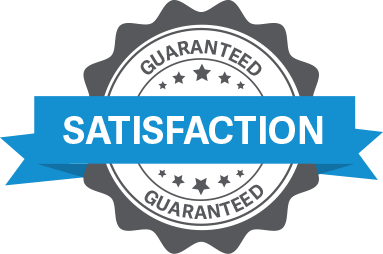 If you're not satisfied, we'll refund the course fee. 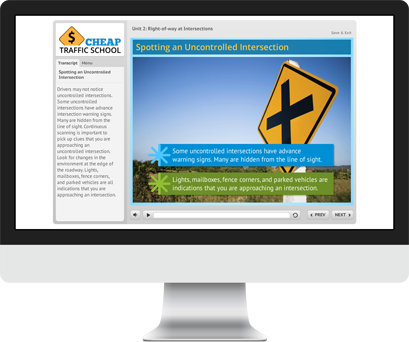 Why Choose Cheap Traffic School? You can log in and out of the course whenever you like. We are available to help you via phone, email, and online chat. The interactive course includes narration so you can listen along. Once you complete we send your certificate to the DMV for you. Are you ready to protect your license and become a safer driver? Sign up for our Wisconsin Failure to Yield course today.